Sheila is the Founder, Executive Director and Artistic Director of Theatre Of Hearts, where she oversees day-to-day operations since 1987. Prior to her work with TOHYF, Sheila studied and worked in Europe, where she became an acclaimed actress of the stage and screen. Sheila completed training at the Frankfurt Conservatory of Music in Frankfurt, Germany, and the London Drama Center, England. While in Europe, Sheila starred in numerous stage productions at the famed National Theater of London, such as David Hare’s Map Of The World. Sheila also starred in a number of productions in theatres throughout England, such as London’s Royal Court Theater, the Welsh National Theater, the Liverpool Playhouse, the Theater Royal in Windsor, and many theatres throughout the West End of London. She received two Drama-Logue Critics Awards for her work as an actress in The Book Of The Crazy and Jack Jackson’s Piano Bar, performed at the Skylight Theater, Los Angeles, and the Los Angeles Cultural Center. Sheila is regarded as one of the major talents of British and American theater, and her work is mentioned in Michael Billing’s The Modern Actor and Katherine Worth’s Revolutions In The Modern English Drama and At The Royal Court: 25 Years Of The English Stage Company. After returning to the United States and settling in Los Angeles, Sheila served as a Program Director for Artsreach, where she taught, designed, developed, and implemented arts programming for Arts-in-Correction and for incarcerated youth at Nelles School for Boys. 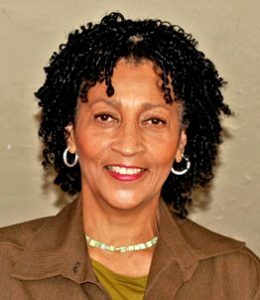 In response to the severe civil unrest in Los Angeles in 1992, she established the Youth First Artist-In-Residence Program to prevent and intervene in youth violence. Sheila received a Certificate of Recognition from the City of Los Angeles, and a State of California Resolution, and was awarded a Fellowship by the Eureka Foundation. She is a three-year recipient of a California Arts Council Artist-in-Residence individual grant to teach theater at the William Grant Still’s Arts Center for youth ages 9-16. Sheila has participated in the initial Steering Committee of LACOE for Arts for All, the Los Angeles County Regional Blueprint for Arts Education with the Los Angeles County Office of Education Community Arts Team. Sheila was invited to participate in the Los Angeles Arts Commission Arts Leadership Initiative, the Executive Learning Group.